For many years now I have wanted to illustrate a children's classic, to create something beautiful that will resonate with a modern audience whilst preserving the classical charm of the text. 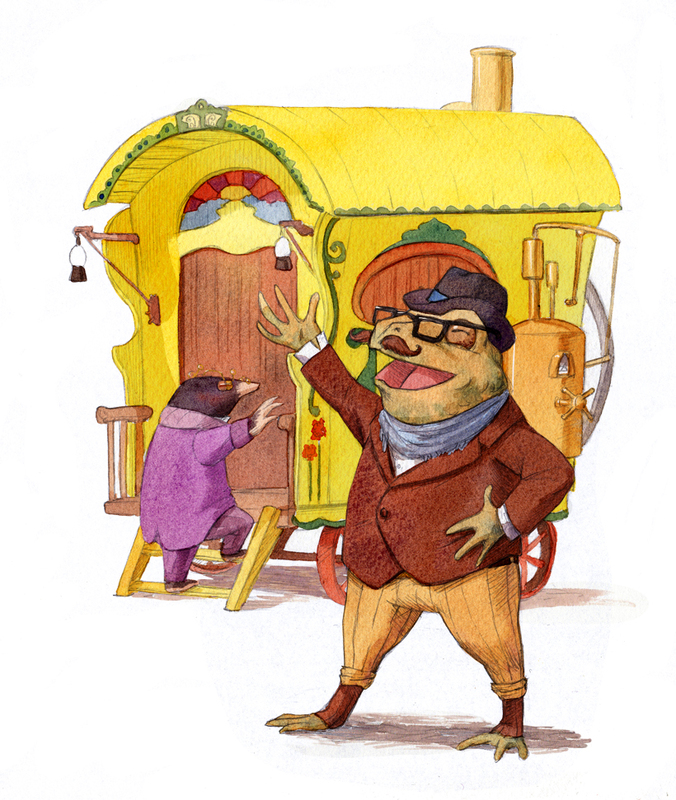 When considering stories for this project, I found none that had greater relevance to our age than Wind in the Willows. Just over 100 years after it was first published, ours is a mirror and the legacy of Kenneth Grahame's time. His story speaks of social connection, environmental preservation, the huge divide between the wealthy and the poor and the thoughtless over-consumption that comes from cheap mass-production. 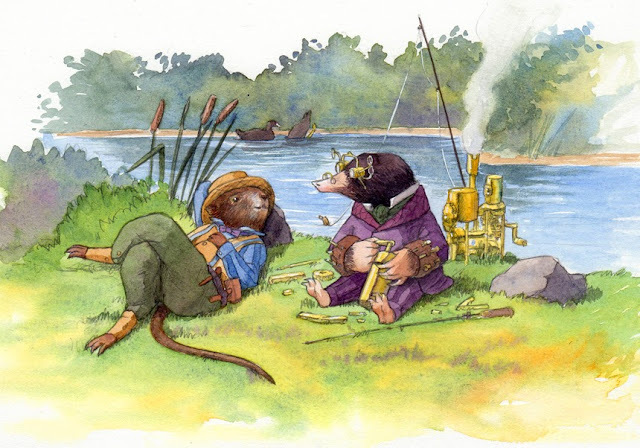 Ratty, Mole and Badger are set in contrast to Toad: three solid, useful creatures who have crafted their own tools, built boats and dug homes, trying to reason with a feckless and boastful animal who flits from one fad to the next, recklessly wasting his inheritance. Today there are Toads everywhere: good animals at heart perhaps, but wasteful and careless. Yet in the last few years there has been a surge of demand for the hand-crafted, the artisan made and the unique, lasting artifact. From farmers markets, artisan bakers and micro-breweries to maker spaces, co-op galleries and communal gardens, people are creating, building, recycling, repurposing, crafting and growing. My illustrations are a love-letter to all of these folk, an homage to the artisans, makers and Steampunks, everyone who crafts or bakes, brews or builds, who pulls apart and reimagines, chooses hand-crafted over mass-produced, who wants long-lasting and beautiful artifacts that can be handed down over generations. As someone who has always built, crafted, repurposed and reimagined, whether it be sewing clothing, crafting stained glass windows or just playing around with found objects, I feel a strong connection to both this story and the people I believe it was written for. My ultimate goal is to publish a book, a physical artifact that has been laboured over with care and devotion. On this blog I will be posting my progress, and I hope you enjoy seeing the work come together.